Are you in the market for a new car? Do you want luxury without the luxury price? Are you looking for a family-friendly car with room to spare? Then you need to check out the Kia Sorento. Kia Sorento’s tag line is “A departure from the expected”, and believe me, they deliver! I was given the opportunity to drive a 2012 Kia Sorento for one week. Having never driven or even been inside one, I was excited to see what the Sorento had to offer. When the car was delivered my first impression was a good one – the color was amazing. It’s called “Dark Cherry” and it is a fun color. Once inside the car I was pleasantly surprised at the level of luxury in this car. Some of my favorite features of the Sorento include the push-button start and stop (no keys! 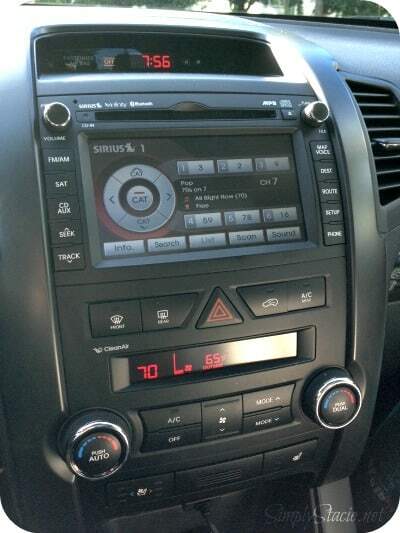 ), the Bluetooth voice-activated hands-free phone system, the integrated Sirius radio with traffic, the leather seats, and the driver’s side cooling seat feature (especially nice in this heat wave we’re having in NY!). 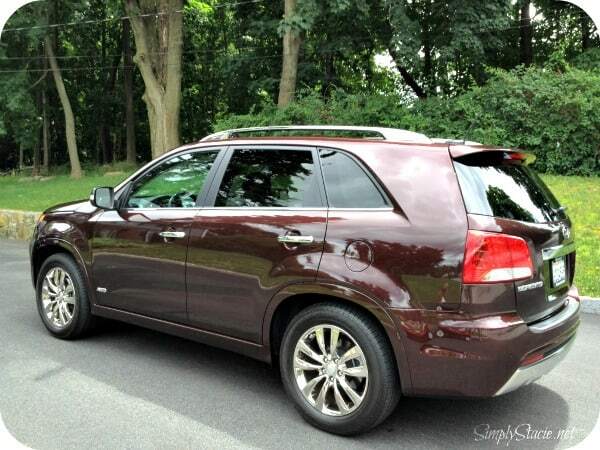 The 2012 Sorento includes third row seating for when you need it, and plenty of storage space. 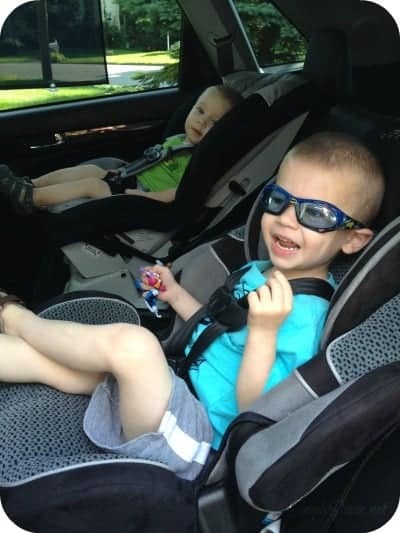 The two car seats we have for the boys fit nicely in the back seat – giving plenty of room in between. The trunk space held up to a day of errands and was able to accommodate our double stroller and a week’s worth of groceries with room to spare! The V6 engine has great pick-up and the drive is incredibly smooth. The safety features are also a great selling point for me as well. Dual front advanced airbags with front seat side mounted air bags, as well as side curtain airbags in the second row, are standard on all models of the Sorento. The Sorento averages 18 MPG city and 24 MPG highway. In the week I drove around town, I didn’t need to refuel. When we are ready for our next car, the Kia Sorento is on the top of our list! Kia Motors America (KMA) is the marketing and distribution arm of Kia Motors Corporation headquartered in Seoul, South Korea. KMA offers a complete line of vehicles at over 730 dealers across the United States. The Kia Sorento I reviewed has an MSRP of $37, 150. Other Sorento models start at $23,150. You can find a dealer and learn more about Kia and the cars they offer on their website. You can also find them on Facebook, Twitter and YouTube. Disclosure: I was not financially compensated for this post. I received a 2012 Kia Sorento for a 7-day test drive to facilitate this review. The opinions are my own, based on my personal experience with the product. This looks very nice. We are getting to the beginning stages of looking for a new van or suv, we will now need to add Kia to our shopping list!! I love the color as well! I hope you did get that car. I plan to invest in one as soon as I can afford to! What a fantastic vehicle! I love the optional third row and all the space in the back and the push button start with no keys and Bluetooth. These look like wonderful features! We are in need of a new SUV and this looks like it would be perfect. I’m adding it to our test drive list. Wow, my husband is on the market for a new car. He will certainly love this. I love the size of the trunk!! We’ve been looking at the Kia Sorento as an option for our next car! Love the trunk space! 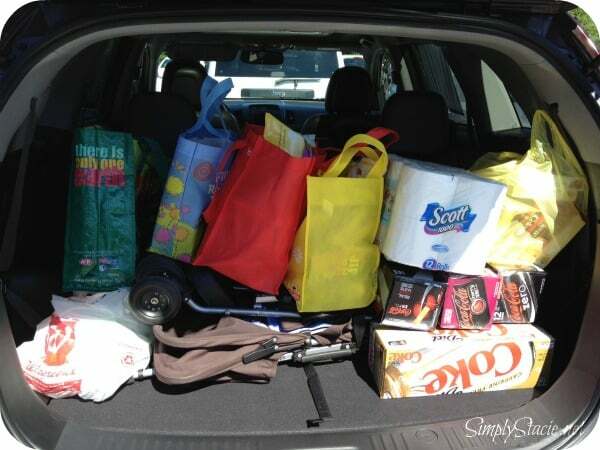 That’s our biggest holdup for a smaller car, we like to travel and need that storage space! I really liked the one we reviewed in December and it is still on our list of possible upgrades later this year. Though trying to use the 3rd row is tough with 2 car seats in the 2nd row. Great car review. Lots of trunk space. I also love the color of that one that you had! It’s beautiful. I have never owned a Kia, but I have heard some rave reviews of them. The interior looks really nice. I like the push button start/stop.. looks as if Kia is right up there with all the other big companies but with better pricing! What a great-looking vehicle. Lots of space for people *and* stuff! Good review and a sleek-looking vehicle. Thanks. While I like the looks and size I just can not get over the cost of a new car these days, but I do like reading reviews that way I know what would make a good used car in the future. Sounds like an awesome car. We just got a Kia/Rio this summer and love it!!! It is small but very roomy. As a budget-travel family, road trips fill the gaps between the big trips. We’re in the market for a new car and the Sorento is definitely on the road trip replacement list! Thanks for the review! looks like a great family vehicle. i love the layout of the dash & instrument panel. This is actually one of the vehicles we’re considering purchasing (narrowed down to three) so it’s great to see your review of it! I can’t say enough good things about Kia’s . The new ones look like they have absolutely great features. I had a 3009 Kia and a person texting totalled it. I ended up having to get the “Mimi” van which drinks gas like water, has a funny smell and whistles after it’s turned off and of course no heat or air. Kia’s are great!! This looks like a really nice vehicle! Still wish they could sell them a little cheaper! Almost as expensive as all the other makes of this type of model!! We’ve been looking at hopefully buying a vehicle this New Year because we haven’t had one in almost three years. It’s been such a pain! I was really leaning towards a Kia and this review helped me lean even more towards it. We’ll definitely have to check out the Sorento! This is super cute!! I have a KIA Sportage,2005.Great car,amazing gas mileage. With two kids,2 dogs(one a german shepard) 2 cats and a hamster I would love just a little more room:) Great review! Hi! I had to rent a car for an unexpected trip to my homes state. The rental I received was a Kia Sorento. It was a silver car. I love the color of your review car. I had a real good experience with my rental. Wish I could have purchased it! Thank you for your review. It is good to know someone else thought it was a good car too! 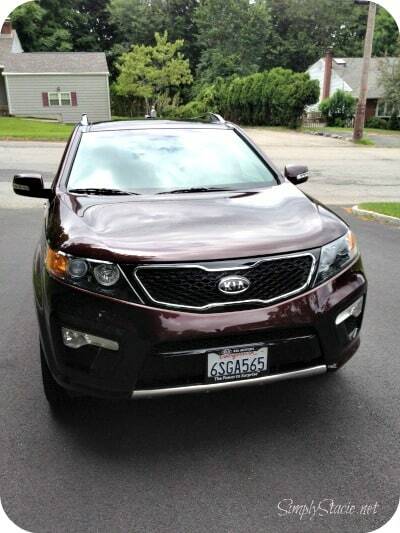 I’ve always loved the Sorento – glad to read your review! I just found your post. My 2012 Kia Sorento has been in my life for two years as of the end of this month. Since I live in Northern Canada, I bought the basic model (which has heated front seats!) and the optional AWD for the worse road conditions. So far, I have had no issues and love the fact I can fold the back seat forward and join my friends at the lake for an evening, using the Kia as a wildlife-proof tent. The Sorento rocks for both families and singletons! Enjoyed the review. My friend owns a Kia and loves it. I ride with her all the time. Now I am getting ready to hunt for a car, I will go to my local Kia dealer and start test driving! 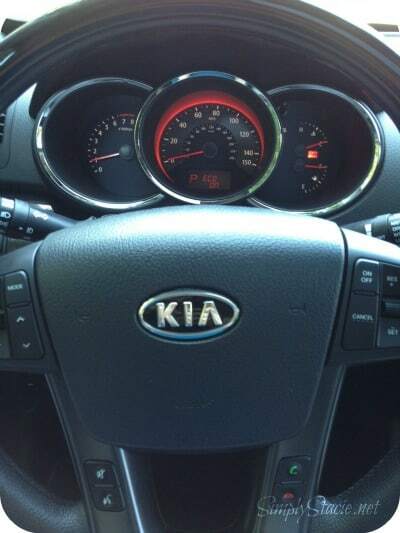 I must admit that I was extremely disappointed with the Kia that my son had. It was a big one with the possibility of a 3rd row of seats. Unfortunately, within 3 mths it developed a huge problem with an oil leakage. Warranty of course covered repair but I was amazed that there was no replacement vehicle. Very sad as we’d come over from Europe to visit and without the new car there was little that could be seen or done during our stay.